No primeiro post de 2015 eu falei do desafio 100 Happy Days que estou fazendo e todo sábado eu vou postar um resumo nos momentos feliz da semana, começando pelos primeiros 10 dias do ano e do desafio. 1- A felicidade de poder passar Natal e Ano Novo com a minha família. 2- Me despedindo do Rio com esse pôr-do-sol lindo. 3- Lounge da Star Alliance fazendo minha espera de 5 horas mais agradável. 4- Duas estações em um dia! Do verão ao inverno em algumas horas. 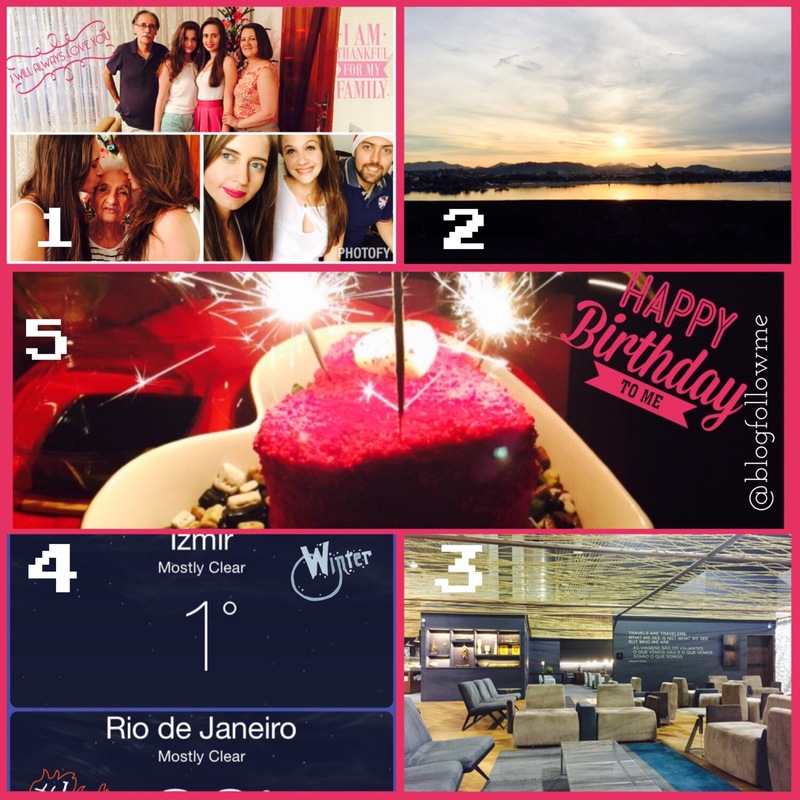 5- Comemorações do meu aniversário. 6- Vinho e boa companhia na fria noite de inverno. 7- Escrevendo as metas para 2015. 8- De volta ao trabalho com muitos planos de viagem e inspirações. 9- Novo post no blog sobre meu final de semana esquiando. 10- Pôr-do-sol incrível de inverno em Izmir. 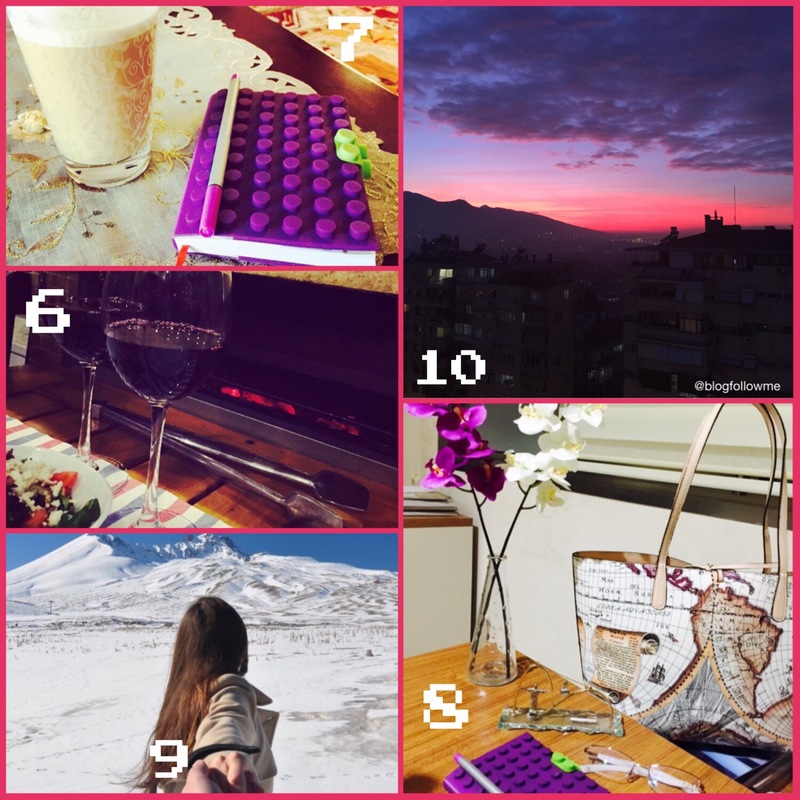 On my first post of 2015 I wrote about the 100 happy days challenge that I’am participating and every Saturday I will post a brief of my happy moments of the week, starting with the first 10 days of the year and the challenge. 1- Happiness of being able to spend Christmas and New Years with my family. 2- Saying goodbye to Rio with this beautiful sunset. 3- Star Alliance lounge making my 5 hours waiting much easier and pleasant. 4- Two seasons in one day! From summer to winter in a few hours. 5- Celebrations of my birthday. 6- Wine and good company in a cold winter night. 8- Back to work full of travel plans and inspirations. 9- New post on the blog about my weekend skiing. 10- Amazing winter sunset in Izmir.